The GAA has announced that an agreement has been reached with eir sport and RTÉ that will see four Allianz League games being simulcast by the two broadcasters this spring while RTÉ will also begin broadcasting games from the AIB club championships. 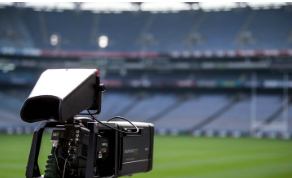 “eir sport are delighted to continue to broadcast live and exclusive coverage of our national games during this year’s Allianz Leagues and up until 2022. We will offer GAA fans more matches and more choice on Saturday nights than anywhere else and it’s all available free to view for eir broadband customers. “In increasing RTÉ's live coverage of Gaelic Games across the GAA calendar year, we are reaffirming our commitment to bringing national moments to a national audience, free-to-air and guaranteeing coverage on RTÉ television for nine months of the year for the next three years." The Allianz League returns to eir sport and RTÉ on January 26th.